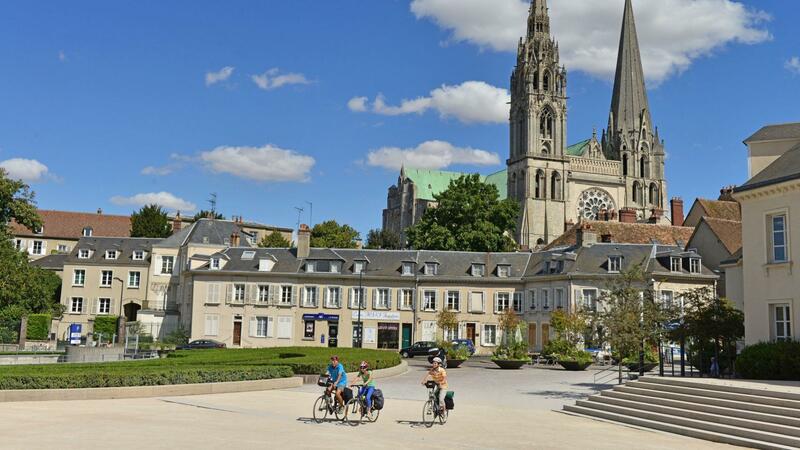 Saint-Jacques à vélo (The St James's Way) cycle route via Chartres and Tours runs for 5000 km through Europe and crosses 350 km of the Loire Valley, from Epernon just northeast of Chartres to Chatellerault. 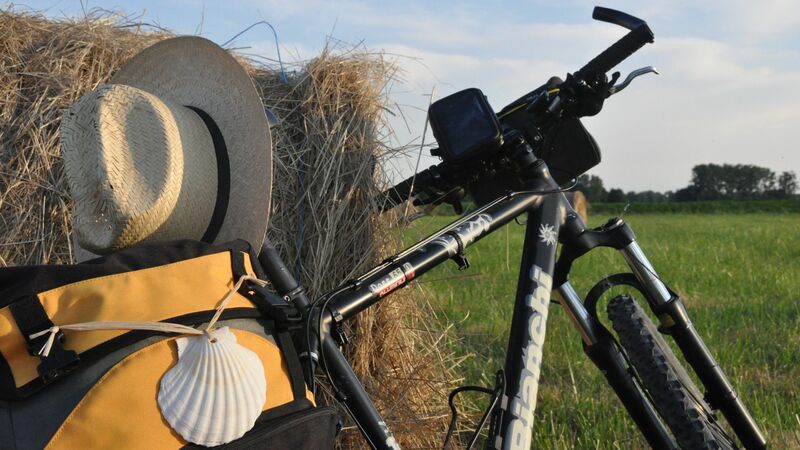 Beyond the original religious symbolic nature of the Way, this cycle route, which runs parallel to the hiking path to Santiago de Compostela, is a real experience that will take you through the valleys of the Eure, Loir, Loire and Vienne. It offers you a fabulous overview of the Loire Valley as well as Beauce and Touraine, with their beautiful countryside and characteristic villages. 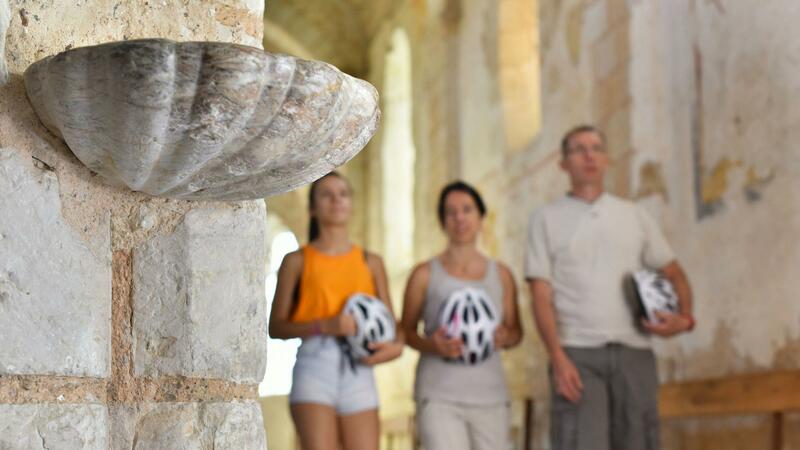 The interesting itinerary will suit both long-distance cyclists and those who want a break of just a few days. Of the four existing routes for the St James's Way, the Voie de Tours (Via Turonensis) is the longest, which earned it the name of "Grand chemin de Saint-Jacques" ("The Great Route to Santiago)". It is the most popular Santiago cycle trail in France today, as it has a mild climate and few hills. In Tours, you will find three sites associated with the Way: the Basilica of St-Martin, the church of Saint Symphorien and the Abbey of Marmoutier. Tours and Chartres have always been emblematic stages of the St James's Way. It is, after all, no coincidence that the route should be called "La voie de Tours"! In the Middle Ages, crowds of pilgrims used to come to Tours to visit the tomb of Saint Martin. Moreover, it was the former bishop of the city, who died in 397, who brought the Christian message to Gaul. Find out more about the voie de Chartres. Find out more about the voie de Tours.